Despite claims often made by manufacturers and consumer groups that products in 2018 are safer than ever, a new study by scientists at Indiana University casts serious doubts on these claims. Researchers at Indiana University conducted a recent study on nearly 20 car seats, and found that more than 8 in 10 contain toxic flame retardants. The chemicals detected weren’t made up of all new toxins either. The study found 15 of 18 car seats tested contained “new or traditional hazardous flame retardant chemicals.” According to Science Daily, “the researchers tested 36 different fabric and foam samples from 18 car seats.” And these aren't old car seats we're talking about here. 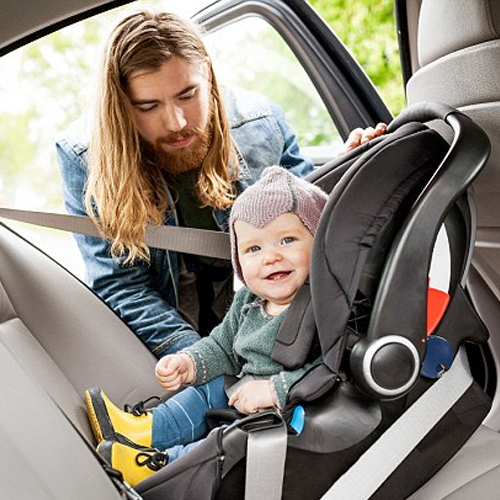 All of the car seats tested were manufactured between January of 2017 and February 2018, in either the United States, Canada, or China. The lead author of the study, Yan Wu, said that the study shows it’s clear manufacturers are “intentionally moving away from certain toxic chemicals compounds that they know to be harmful…” The question though is what chemicals they’re using to replace them, and how safe those chemicals may or may not be. Studies such as these put parents in a tough place. Protecting our children is paramount, but just how safe are the seats we’re placing them in? We can only hope that as more studies are conducted, the number of car seats containing toxins decreases.